Greetings, friends! I have been trying to go through my UFO (un-finished objects) boxes a little more recently, and put this card together using some leftover bits and pieces. I've been hoarding the scraps of this patterned paper for ages, and have been stubbornly trying to use up every last bit. I still can't quite finish it up! A package of patterned paper can last for ages, don't you think? I'm not sure I've ever entirely finished one up. My inspiration came from two challenges. First, the awesome sketch at Viva La Verve, which is so perfect for using up little scraps. My sentiment and the subtle snowflake behind it are from a Verve set. 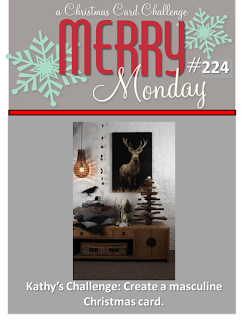 Second, Merry Monday is having a Christmas in Summer link-up where you can use any of their previous challenges, and I chose #224, Masculine Christmas Card. I think the woodgrain and earthly colors have a masculine feel. I love that sketch too, and your rustic take on it is wonderful! Awesome staging as well! Great take on the sketch and so fun you were able to use some UFOs!! Just love the patterns you combined!! Such a beautiful card. 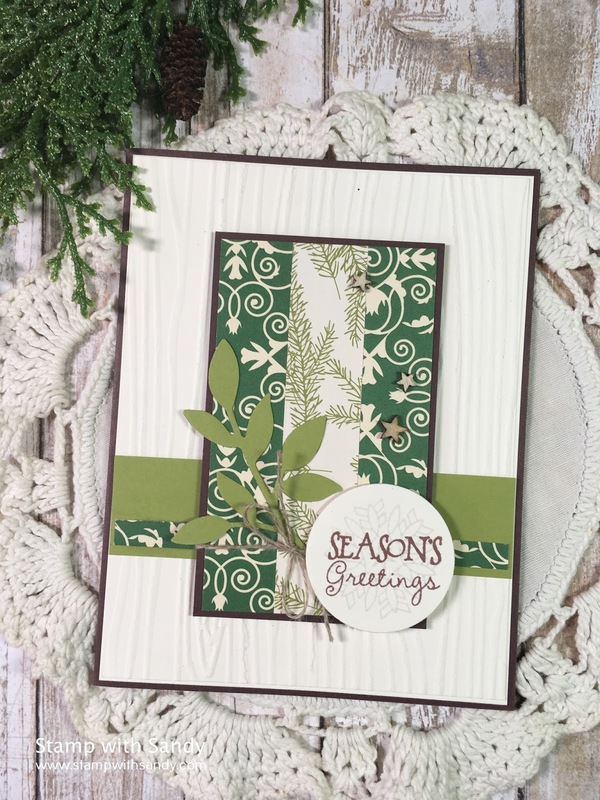 Love those beautiful greens and that fabulous textured background. So glad you could join us for Viva la Verve! beautiful way to use up your scraps!! This design makes a very pretty Christmas card! Love your papers and background.